To officially announce (and celebrate!) the launch Sensing+ for Agriculture™, our team held a series of launch events across the east coast of Australia, in the second week of October. We kicked things off in Hobart, at Pooley Wines in Richmond. 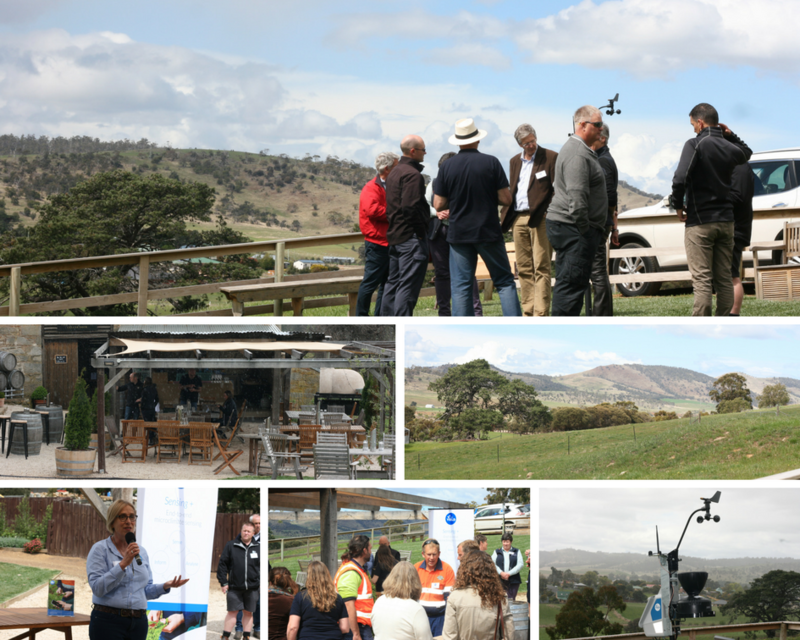 As one of our key trial sites for the last 18 months, Pooley Wines was the ideal location for us to announce the official launch of Sensing+™, and to thank our many Tasmanian-based friends, family and supporters. With beautiful scenery, fantastic wines and delicious woodfired pizzas, it was the perfect way to kick off Launch Week. 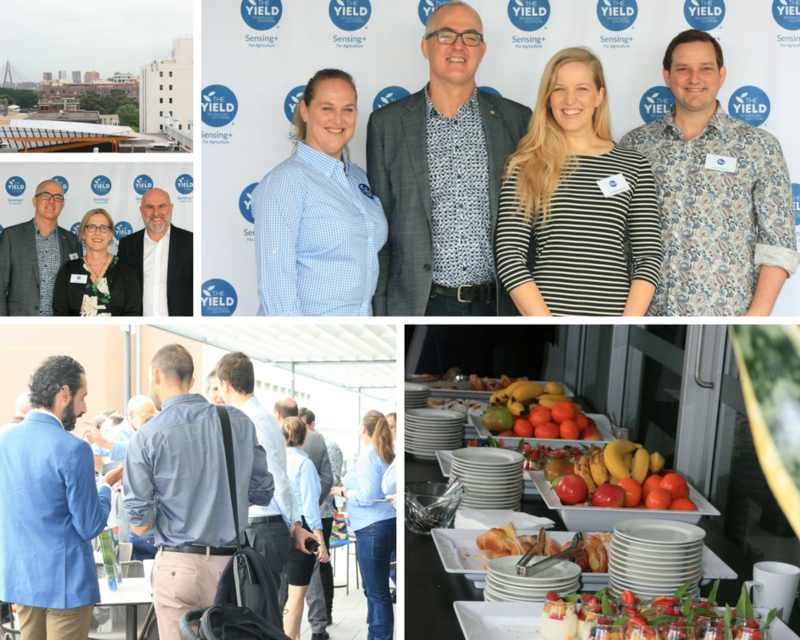 From Hobart we headed to Sydney, where we held a morning event at Aerial UTS Function Centre, at the UTS campus in Ultimo. After a light breakfast, our guests were treated to a comprehensive product preview by our Managing Director and Founder, Ros Harvey. 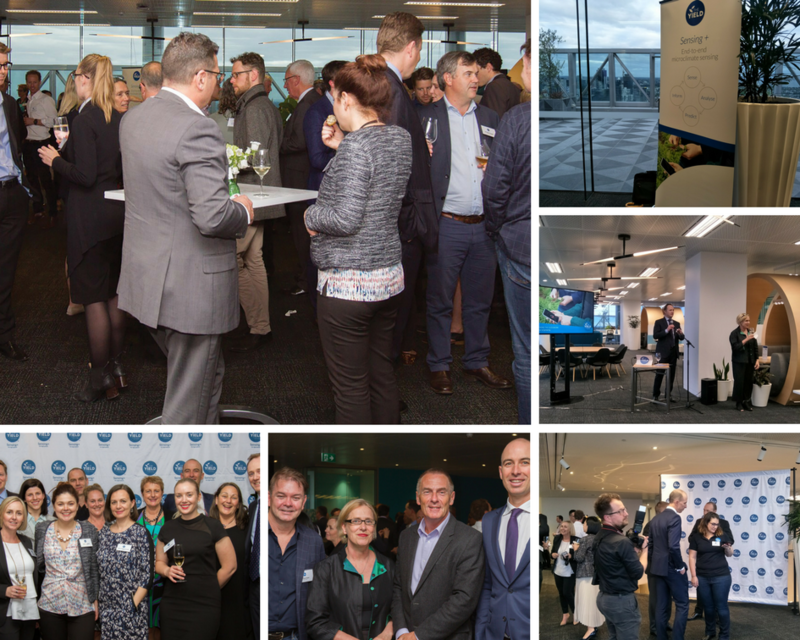 Thursday night saw us host around 100 guests for canapes and drinks on the KPMG rooftop in Docklands, Melbourne. Melbourne’s fickle weather held out for us, giving our guests an opportunity to get up close and personal with the Sensing+™ hardware, which had been installed in the KPMG rooftop garden two weeks earlier. And finally, we wrapped up launch week with a tour to the Bosch plant in Clayton, Melbourne and lunch for a small group of guests. These guests had the rare opportunity to see where our Sensing+™ hardware is manufactured, followed by a lunch and presentation in the iconic Tea Room at The European on Spring St.